JUST A CAR LOVE AFFAIR. 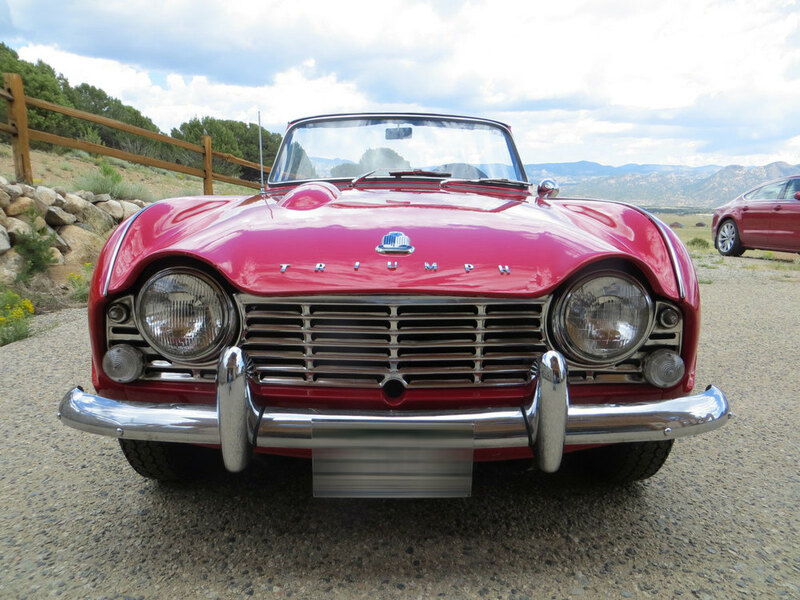 By Matt Mikulich, original owner of a 1965, Triumph TR-4. Another time driving in winter in minus-zero temperatures on I-80 just west of Omaha, the car started misfiring badly, and I was worried it would just die completely. It was already dark, and I didn’t want to go much farther west until I could figure out what the problem was, so I limped into Lincoln to get a room for the night. I hoped that I could find a foreign car repair shop to look at it in the morning. Luckily I was able to start the TR in the morning and took it to a shop. After a few minutes of looking, the mechanic pointed to the glass fuel sediment bowl, which was full of ice. On my last fill-up, the gasoline must have been contaminated with water, which had accumulated there and froze solid. I was very lucky that it didn’t find a low spot in the fuel line where it could have frozen and cut off the fuel supply. The mechanic said, “Put a couple cans of Heet (alcohol based fuel additive) in the tank and fill it up. That’ll take care of it.” I did as he instructed, and the engine soon began to run beautifully again, and I continued back to Salt Lake City. After two winters of driving back to Illinois for Christmas, I called a halt to that activity. The weather and roads were too unpredictable for such a long drive in December. And it was all I could do to stay warm in the car at 65 mph when the temperatures got below zero even with the heater on full. Every winter I stuffed and taped up the fresh air vents to help keep the cold out. I had to wear my parka and a stocking cap on my head in the car, and I always had an old wool Army blanket draped across my lap and legs for the cross country trip. That’s what it took to stay warm. Ah, but then there were all the great times I had driving it. I spent three summers in the mid-1960’s working in casinos in Reno and Lake Tahoe. I had a blast driving it all over the mountain roads of California and Nevada, throughout the gold country, and back into San Francisco to visit my brother, all with the top down. I liked to drive it fast on winding roads. 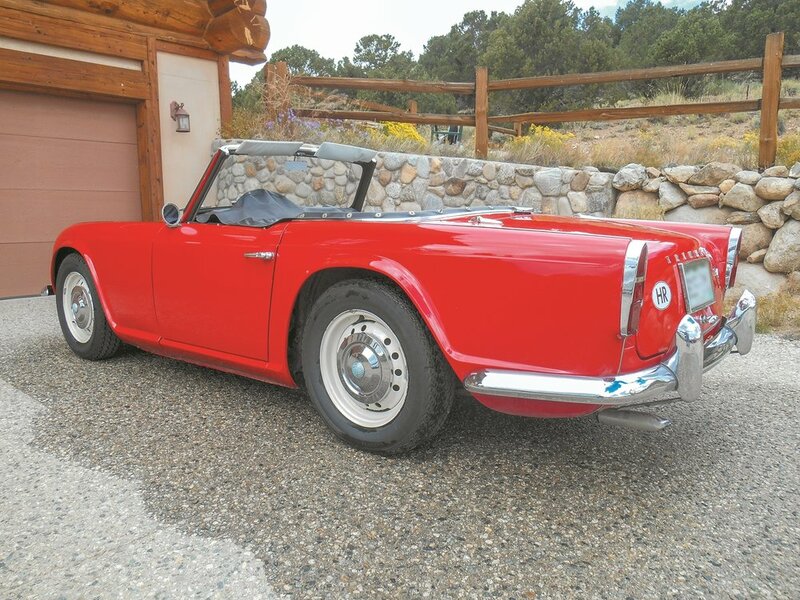 I still remember one time I was chased by a guy driving a Sunbeam Tiger on 2-lane highway US 50 all the way from Sacramento to South Lake Tahoe. He never could get by me. Another time I got it to 108 mph, on the speedo, on a straight stretch in Nevada, just to prove to a Cadillac that was on my tail that I could. It is very stable at speed, and resistant to cross winds with that low profile. And I’ve slept in the car many nights, on those long cross country drives, when I didn’t have money for a motel. 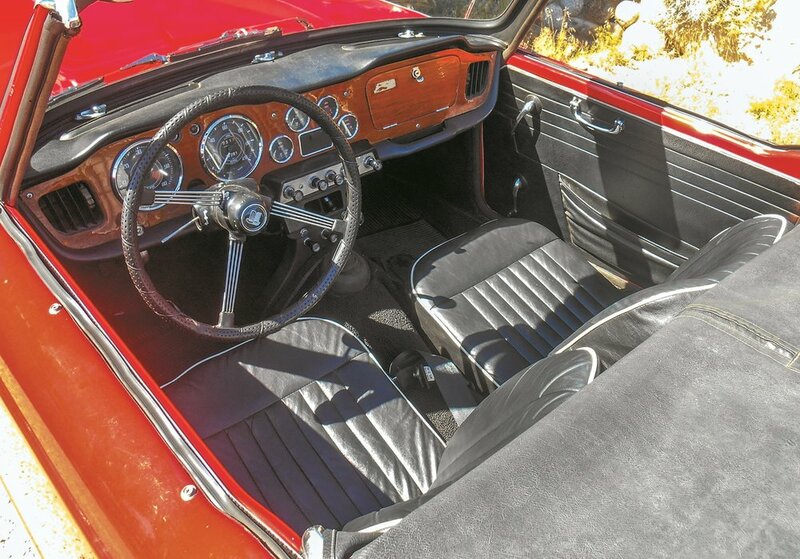 In spite of the poor reliability reputation of these early British sports cars, the TR has been very reliable. In fact I can only remember two times when it really failed me. The first was when driving on the Congress Expressway in Chicago in morning rush-hour traffic, when the engine just quit. I had to be pushed from the far left lane across 4 lanes of bumper to bumper traffic by a rescue vehicle to the next exit; it was a broken coil wire. The other time was driving up Parleys Canyon east of Salt Lake City in December in minus 20 degree temperatures, when a radiator hose burst. Since that time I carry a roll of 1 inch wide plastic tape for quick hose repairs. Oh, and there was the partial failure on my first real date with my future wife. I had a few extra dollars in my pocket because I just made the final car payment, and was taking her out on a Saturday night for dinner and movie in Salt Lake City. Driving into town from her house, the fan belt broke. The engine got hot quick because in addition to the generator, the belt turns the water pump and the cooling fan. I limped into a gas station and hoped they might be able to help. I didn’t expect they’d have a belt for a TR-4, but they had a very skinny one that fit. It was enough to get us to the restaurant and I got her back home, but we were too late for the movie. The TR and I both also survived a bottle dropped on me from a freeway overpass on another Chicago expressway, at 55 mph with the top down. It hit the center of the bonnet and just exploded, but the flying glass did not break the windscreen or injure either me or the young lady in the passenger seat, but it did put a big dent in the bonnet. The car was never in an accident, and the only other damage it suffered were some dings to the bumper overrides from being hit by other cars in parking spaces. 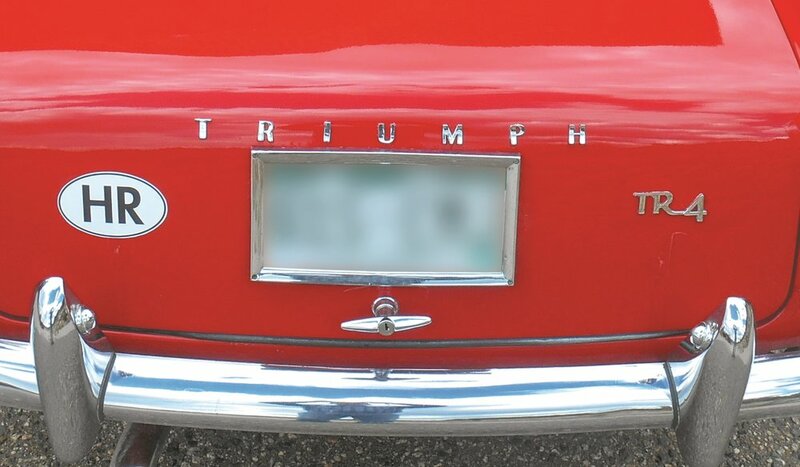 Yes, I was attached to the Triumph. I replied to my wife that I just couldn’t bring myself to sell it. Her response was, “Well then, why don’t you just fix it, so you can drive it again.” What words of wisdom! Right then I resolved to spend the money to repair my TR; there would be no MGB. It would be costly because although I had done the maintenance work on it myself all these years, it was now beyond my capabilities. It would take a major restoration. It needed an engine rebuild, body work to cut out all the rust and weld in new metal, and a new paint job. But, I could buy a kit to refinish the interior myself. The spark of love was rekindled; aw, what’s a few (thousand) bucks. In the summer of 1986, the TR went to Scotland Yard in north Denver for the mechanical work which was finished in August. 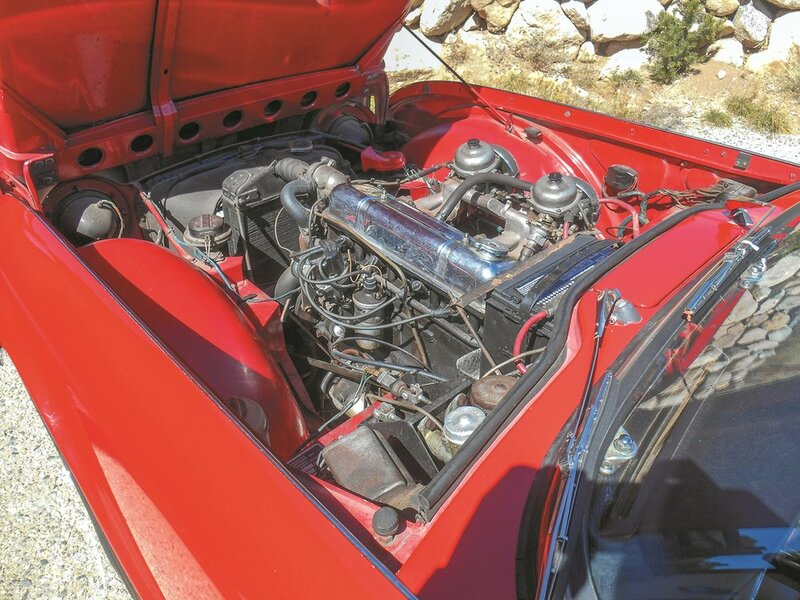 It was a complete engine rebuild; I wanted it restored to original specs, no bored out cylinders, and a full transmission rebuild and a new clutch. Then it was off to a body shop in southeast Aurora. But first, I pulled off all the chrome detailing at home: the badges, lettering, handles, etc. At the shop a lot of rust was found as the body panels came off the frame. 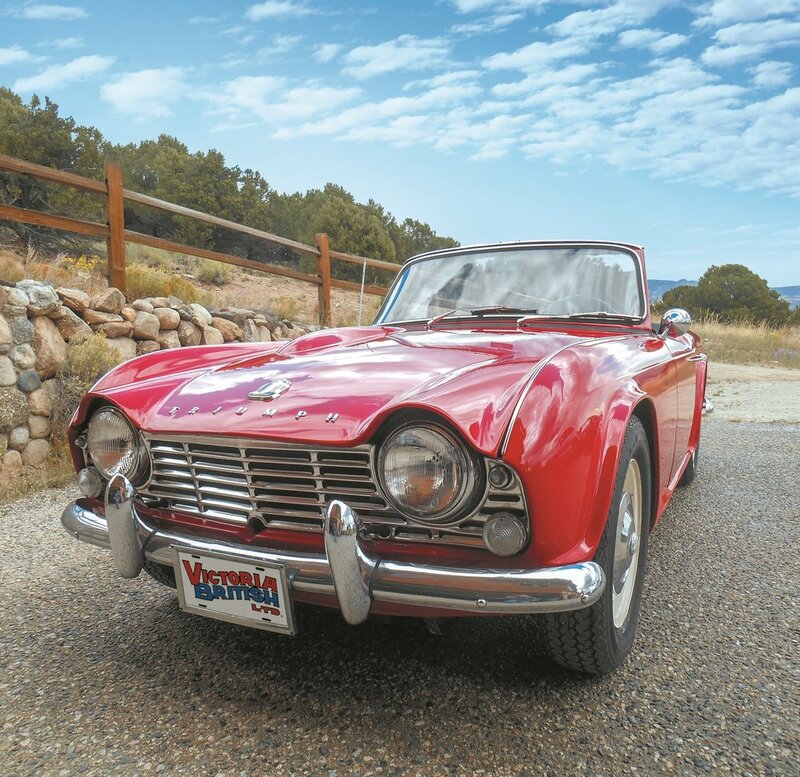 All that work was completed in October with a new paint job well matched to the original Triumph red; it also got a new windscreen and seal. Then I brought her home and reinstalled all the chrome trim after carefully polishing each piece. Finally I ordered an interior kit to recover the seats and new carpets, and installed that myself, along with some dash parts which had cracked and split. And finally, I bought a set of new Michelin XZX tires. Now she looked as beautiful as she ran, and she looked and ran like new. I was in love all over again. Fast forward to March 2012. 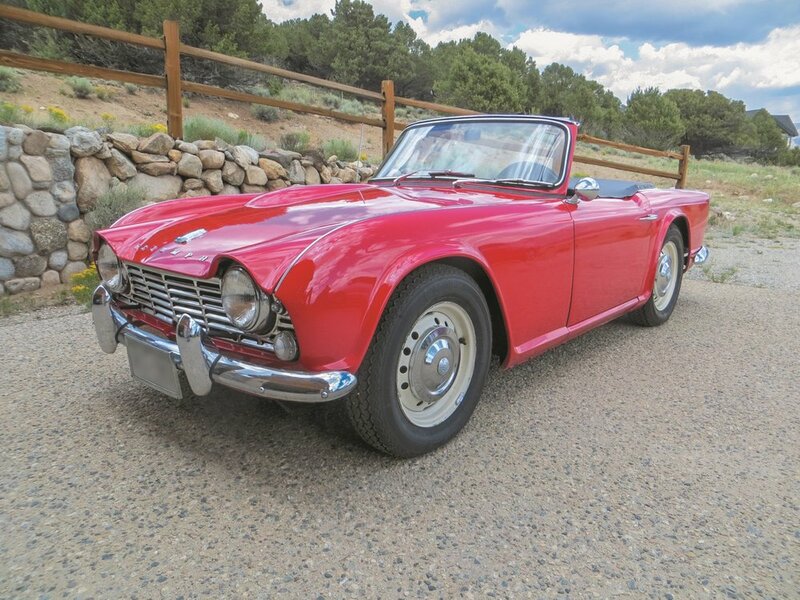 After driving the TR only in summers in Colorado where I retired, and in the town 4th-of-July parades, with my grandkids throwing candy to the crowds, my TR-4 had been sitting in the garage for the last 3 years, ignored. She looks just as beautiful as in 1965; the body is near perfect, but the love has tarnished. The battery is dead. The tires are 1986 vintage and need to be replaced. The carburetors leak gasoline when the engine is cranked; they were last rebuilt in 1986. The oil needs changing, the radiator needs a flush, and the hydraulic systems need to be bled with new fluids. I’m old and decrepit now myself, but re-energized to get her back running again for the parade this year. So I’ve ordered the carburetor rebuild kits, a new oil filter, and the tires. When we get a nice spring day, I’ll push her out of the garage, and get all that work done in the driveway. Then I can drive her down to town and get the new tires installed. She’ll be in the parade again this year, looking as pretty as she ever has, and happily running like new. And in driving her, I’ll feel like I’m 23 years old again. Love springs eternal. Footnote 2014: All work completed, she looks and runs a great!